“La Best of North Westerville” and our web site. …Remember … we are in the back!!!! LA Cleaners has grown over the years and since 1989 we have provided a state of the art,high quality cleaning process that is “EARTH FRIENDLY” as well. We have never used Perc. and never will. Being a family business we did not want to expose ourselves or clients to the toxic side effects that is now being outlawed and abandoned in most states …starting in California. Over the years, even though the work load has increased , our ethics of Hard Work…Long Hours…and Good People with an Honest Attitude are the very qualities that have led to our successful growth. In fact, things run even smoother now … quality has improved mostly due to the high demand for quality in this part of the world. BARCODES BARCODES….yes oh yes… Very few Drycleaners understand the Value of using Barcodes to organize and process the clients clothing orders. The old method of pre -numbered paper tags works…once…but not trackable. With LA Cleaners your items have a history that can be reviewed for years to come. Stop tucking in staples, safety pins, and plastic tacking staples. Try the smooth hidden one time barcode tag that goes on once and tracsk your clothes every time. When you drop garments at LA Cleaners you will notice and enjoy some of the nicest counter help that yod’d ever hope to expect. LA Cleaners Motto is: “TO MAKE NEW FRIENDS… YOU MUST DO SOMETHING FRIENDLY”. We bring you big time service with a home town smile. Imagine someone offering to carry your clothes to your car for ya when it’s a little heavy ..or windy …or too cold! Hmmmmmmmmm nice! 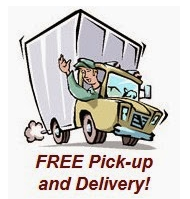 How about you drop off your clothes and we deliver them to your home on our next route day. you could just sign up for our pick up and delivery and get into that groove and stay on track … ALL THIS AT NO EXTRA CHARGE…. PLEASE check out all the info on the following pages …be informed…. give me a call at 614-679-4709….for any concerns…Really ! Call Me! 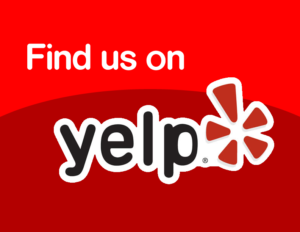 OUR PICK UP AND DELIVERY SERVICE COVERS THE FOLLOWING AREAS:*WESTERVILLE*GALENA* SUNBURY*LEWIS CENTER* *POWELL*DUBLIN*WORTHINGTON*NEW ALBANY* COLUMBUS* AND YOUR AREA NEXT!!! !